At our last meeting, we were asked about the plethora of groups vying for your political donations. There are many, many options, and it’s hard for anyone to make sense of it all. Individual candidates, to directly fund their election efforts. Issue-advocacy groups and PACs: Everytown, Planned Parenthood, MoveOn, etc., who advertise for or against candidates based on their pet issue. The top of your list should be the candidate(s) you support. Give directly to the election result that’s going to affect your life, to candidates you like for their position on the issues. Everything else is indirect. So support candidates, first and foremost. Giving to the county party should be almost an afterthought. Think of us, please, yes… but a token afterthought is all. Support your candidates first and foremost, and then support them again! In the bygone days of uncontested races, the national umbrellas made sense if you didn’t have a candidate to support, nor know which of the other states’ candidates was worth backing. 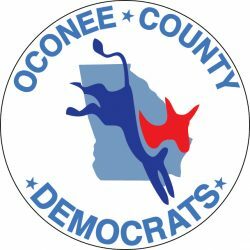 Today, Democrats in Georgia have been so successful in recruiting that you probably have to decide which local candidates to support! So leave the umbrellas for people in the Northeast and the West Coast, or in Wyoming and Utah, whose local contests aren’t hot. Even then, there are too many candidates to ask you to support them all. 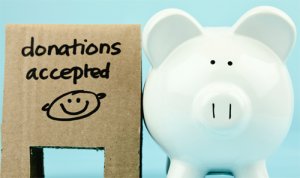 Pick a total recurring donation that you’re comfortable with—recurring because it helps the recipients plan over their campaign—and divide it up however you like. If there’s a contested Democratic primary and you have a strong preference, give to help win the primary. If you care against the incumbent more than for one Democrat, wait until the primary shakes out and support the winner. Support the local races; they affect you most directly, and can’t get the attention of people far away, whereas a state-wide race draws on millions of Georgians and maybe the national umbrellas also. Local races are cheaper, but have fewer donors: a small donation to a county race has more impact, proportionally. But state races need support, too, and if everyone only looks local, we can’t win them. So pick a mix, whatever you feel good about… and then feel good about it. You’re donating what you can do, thank you. Issue advocacy groups only steer conversation; it’s candidates who get elected who do things. So if there is an issue dear to you give to candidates supporting the issue more than to the advocacy PAC. You’d be asking the PAC to support candidates, so just do it directly. You can give to the PAC also, if you like, to help with media buzz and in other states. And there are reasons to do so—attack ads, for example, work from a third party, but not well from the candidates. But mostly, it’s all about the candidates, so support them. And remember that for the next couple weeks, our incumbent state legislators (Deborah and Jonathan) can’t take donations… but they’ll need them as soon as the session ends!